It is such a rare occasion that Stephen King releases sequels -- that is why he is sometimes dubbed as the Stand-Alone Novel Master (aside from Master of Macabre, of course) -- and so it is even rarer that he will release a trilogy. But his Bill Hodges chronicles seem to be an exemption. These thriller novels focusing on the old-veteran-turned-private-eye now has a third book coming our way and the official cover art and title has been revealed. Gone are the gore theme of Mr. Mercedes and Finders Keepers covers and a thumbs-up for the X-ray vision concept of the fantastic End of Watch cover art. 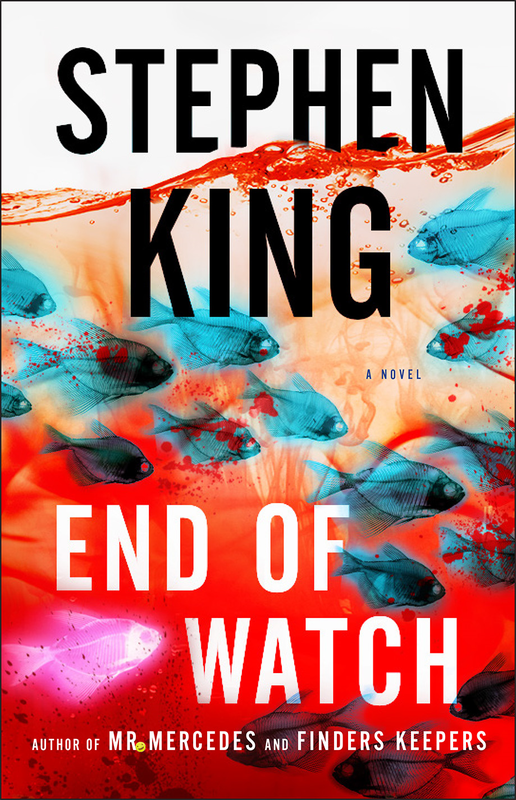 Check out the cover of End of Watch (Bill Hodges #3) by Stephen King. In Room 217 of the Lakes Region Traumatic Brain Injury Clinic, something has awakend. Something evil. End of Watch by Stephen King will hit book stores on June 7, 2016.